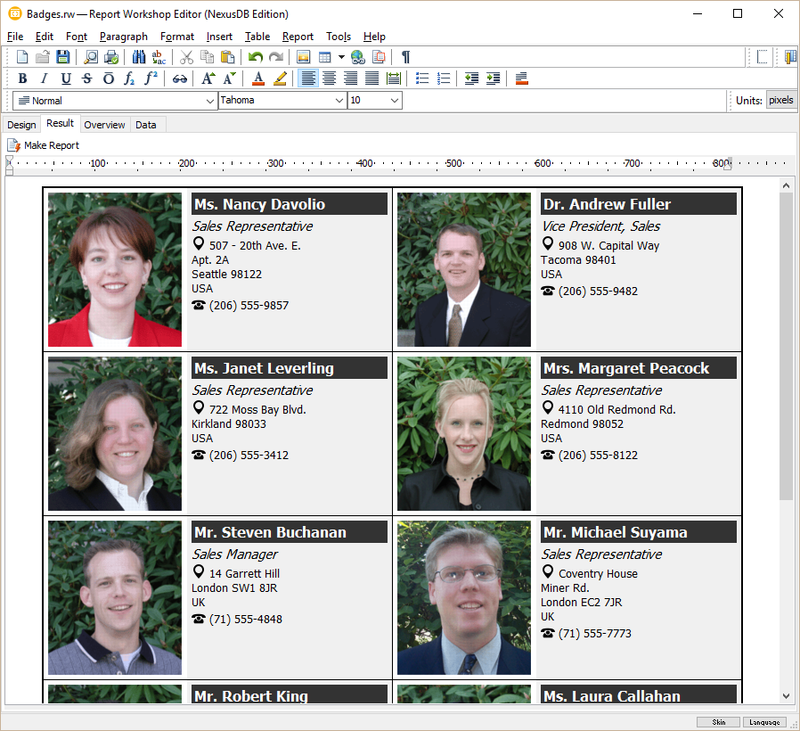 Report Workshop is a new set of reporting components for Delphi, based on TRichView. We added a NexusDB version of the report editor. We also included this demo in compiled demos. Autodetecting NexusDB package names. NexusDB includes version number in package file names, so package file names are changed on each release. Last edited by Sergey Tkachenko on Thu Sep 15, 2016 6:25 am, edited 2 times in total. 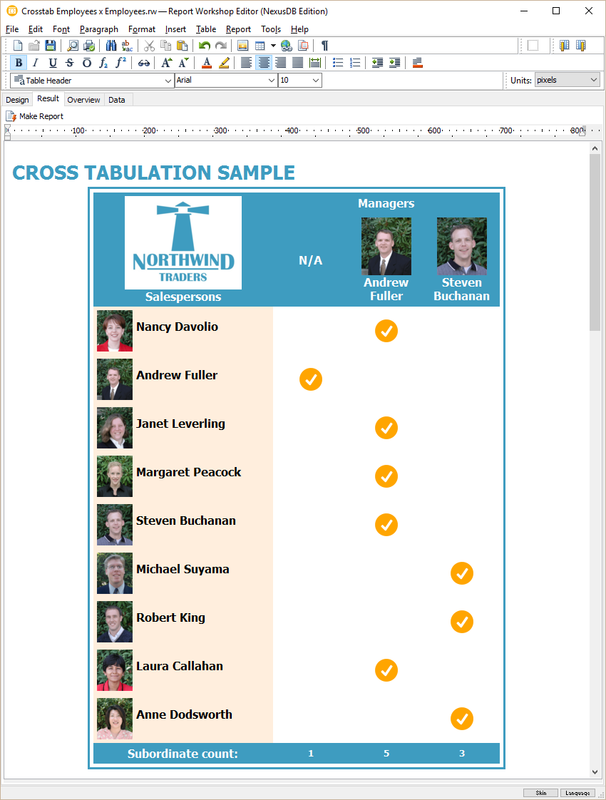 NexusDB demo includes several reports for Northwind database (this database is included in the demo). This demo uses an embedded version of NexusDB, so additional applications or libraries are not needed. 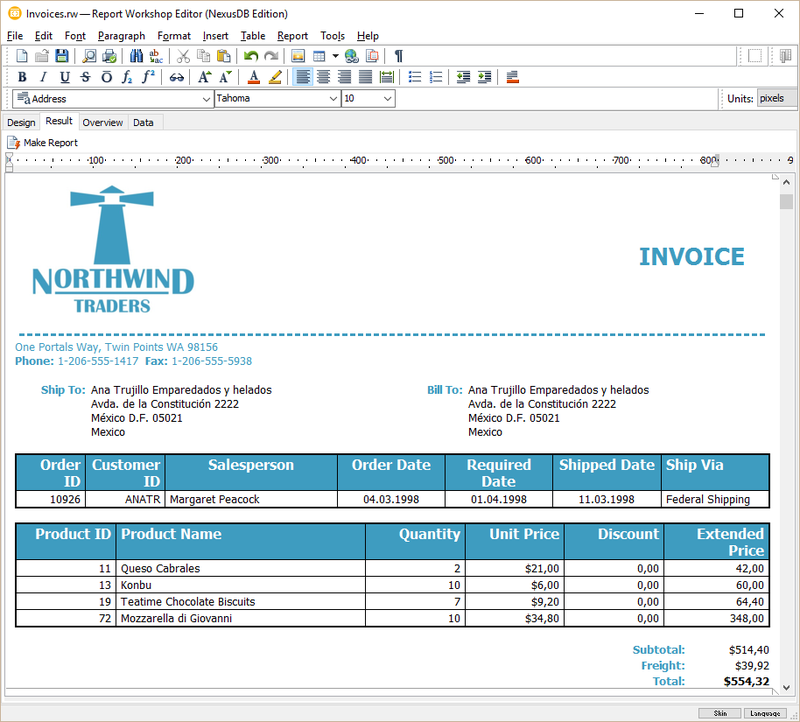 This report generates invoices for orders (for all 830 of them), each invoice on a separate page. The employees table includes "ReportsTo" field specifying a manager for this employee (from the same table). 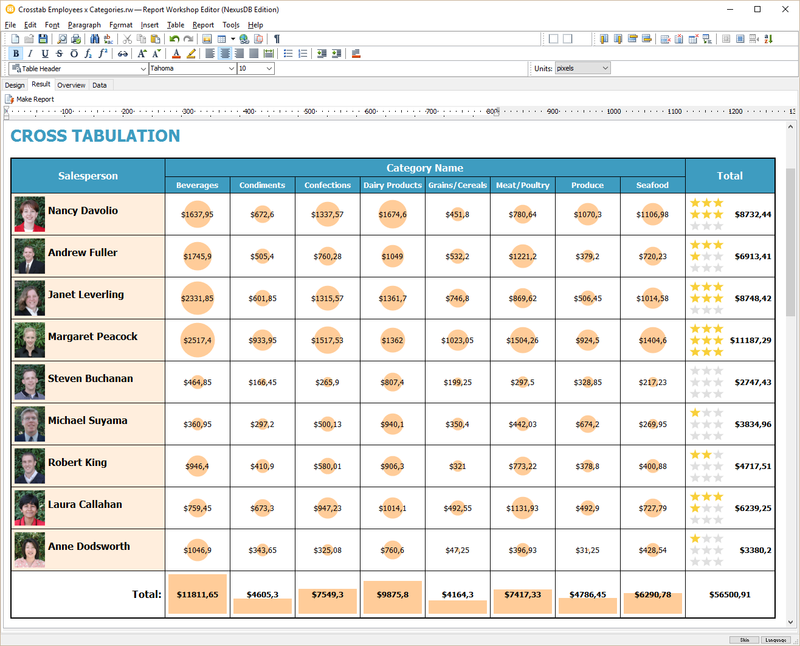 This is an example of 3-level master/detail report: employee / region / territory. 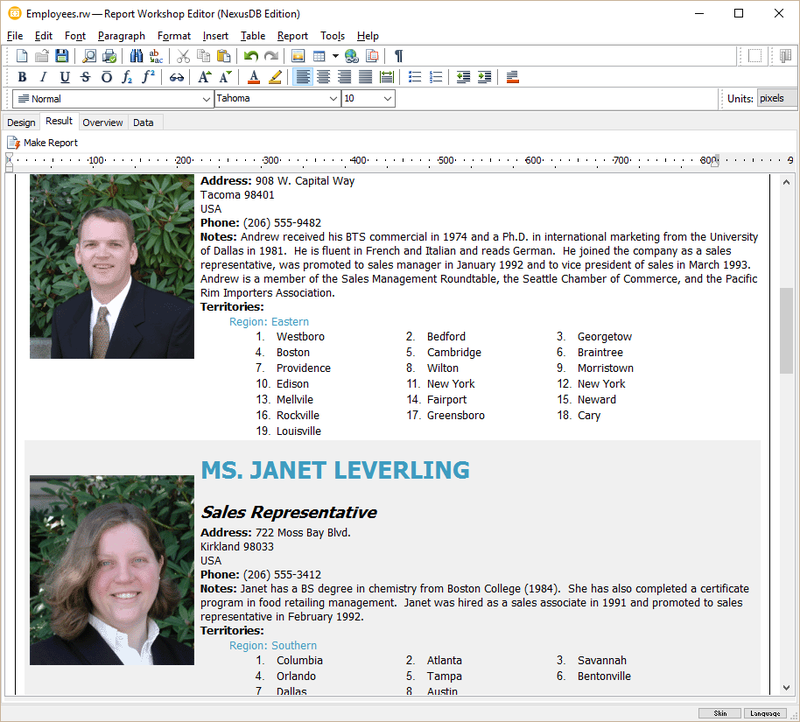 The report shows how to use paragraph numbering in reports.